This artwork was commissioned by a Canadian client who wanted to celebrate his Scottish heritage. As his family came from Barra in the Outer Hebrides, we used this as a starting point. The piece was designed to fit a particular alcove in his house and the palette had to be more vibrant and playful than in reality. 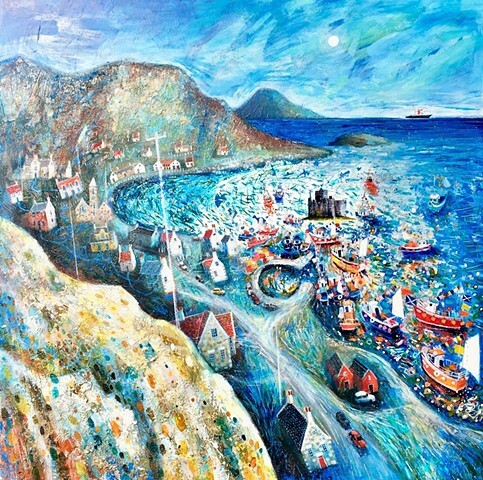 In keeping with the intended spirit, the scene describes a lively 'Fisherman's Blessing' when the island is at its most colourful and animated.